If you want to throw some questions into the wonderful world of peer support, get yourself on Facebook and join the Family Adventure Camping and/or Family Microadventure groups. Lovely people, who have plenty of advice to share, and are very generous with it. This is not the time to realise you're agoraphobic and/or afraid of the dark. Get past your own adventure cherry before you take out your little ones. Or go with someone more experienced and kind enough to take you all under his/her wing. This might be easier said than done, but this first time in particular the kids will be looking to you for reassurance, so it's important to be able to manage, and not flap. The kids will hopefully be excited, but no matter how brave they seem, they will also be out of their comfort zone, and so they'll want to feel you're calm, confident, and know what your doing. Swearing under your breath and feverishly walking in circles while you try to get mobile signal on Google Maps is not going to help things go smoothly. Do you yourself a favour and go somewhere you know well, or at least have been before - remember, this is supposed to be an adventure for them, not for you. This is somewhere that good kit, or at least well-chosen clothing can help. Think layers, and ensure that you hold some in reserve but accessible for changing in case of accidents / rain / etc. You'll do well to use base layers to move moisture away from the skin (merino is great, synthetic also works well, but cotton doesn't help as it gets and stays wet). Next up, a non-cotton mid layer (jumper, cheap micro-fleece, whatever you fancy) and wherever you are in the U.K. a good waterproof (a lighter one in summer perhaps but never to be left behind). I won't labour this point, but something I consciously try to do is to dress one layer less than my boys when we're out. It isn't always possible, but essentially I aim to feel the cold before they do, and so I can look to them and check how they're doing. When you've two intrepid explorers like mine I do worry that they could be in a bit of a state before they would whinge too much about it, and it's really important to stay ahead of that. Cold / Wet is so much easier to resolve before it goes too far. There is little in life that isn't made better by a hot drink and/or some chocolate. You will already know this. But when you're focuses on not forgetting a sleeping bag or something, it's easy to overlook the more everyday things like food. But either way, do bear in mind that things will take a bit longer to set up than expected the first few times you're out, so do plan ahead for this. Insert whatever you like here, but just make sure you have something to fall back on, in case energy or enthusiasm levels start to flag. The best first trips are garden trips, everyone knows that! 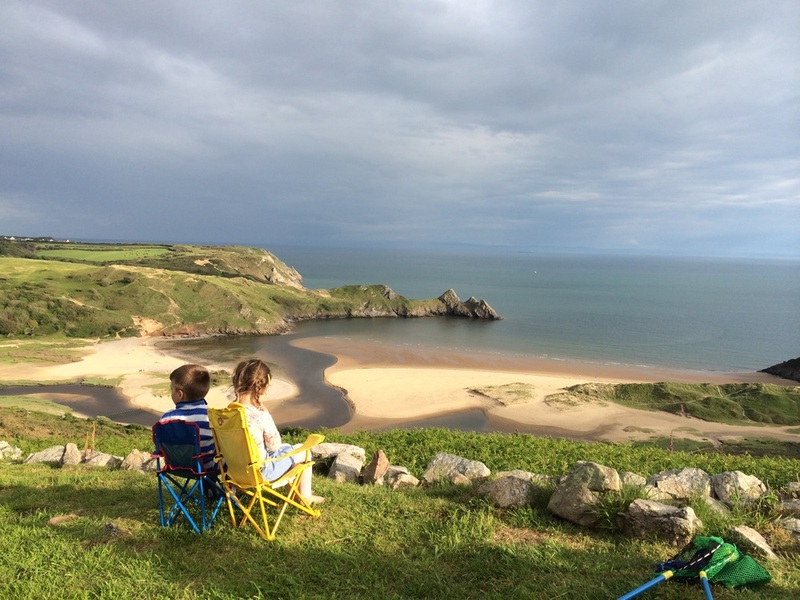 Or find yourself a wild-feeling campsite, or somewhere inbetween like Wicken Fen, but challenge yourself to camp out of a rucksack rather than the car boot. You can work up to "Wild"! Its surprising how many "bivvy spots" you can find within a few hundred metres of somewhere you can leave the car. This takes a bit of map-work, or a friendly tip-off, but until you get a bit slicker with packing light it really helps out. I hope that helps. 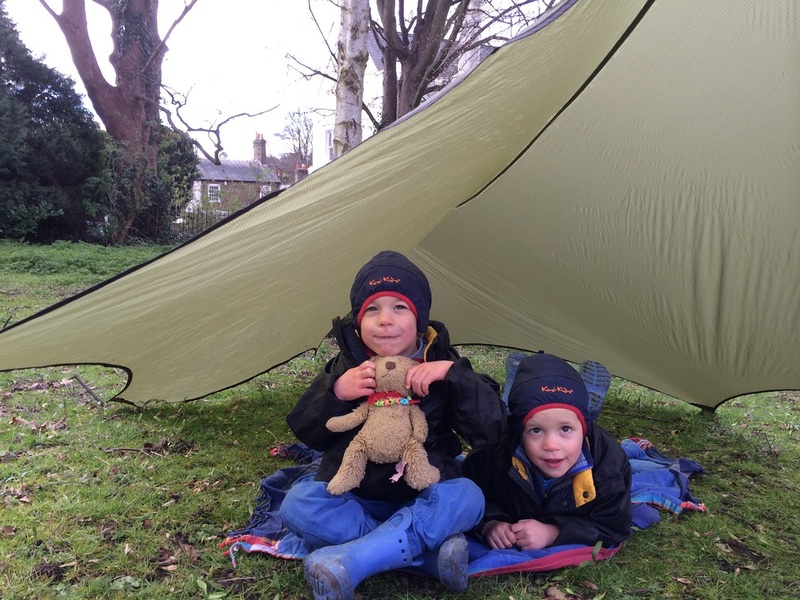 At some point I will put together a family kit list, and will add reviews of the specific gear we take and examples of paces we go, but the general rules above should stand you in good stead for thinking about getting your little chaps out and exploring. It may still seem like you're being a bit daft, but if you're safe and sensible, then frankly your kids are lucky to have a parent who can show them a different side to the world than Cartoons, Soft Play centres, and shopping malls. Lucky them to have you in their life, and Adventure on the way! So get out there, and as my little man Hector always tells me: "Explorers Never Give Up!" Newer PostIs Wild Camping a bit naughty?